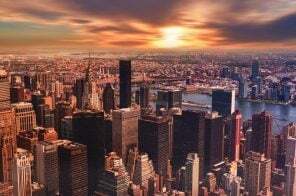 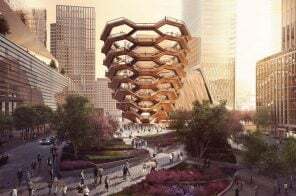 City officials are pushing to have the $325 million citywide ferry service, helmed by Hornblower and managed by the city’s Economic Development Corporation, up and running a few months before next November, when Mayor Bill de Blasio stands for re-election. 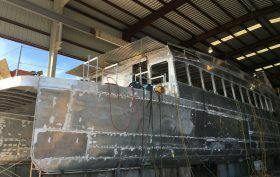 As 6sqft reported in September, two bayou-based shipbuilding companies, Horizon Shipbuilding in Bayou La Batre, Ala. and the awesomely-named Metal Shark in Franklin, La., are racing to complete the 19 new boats scheduled to hit the water this summer. 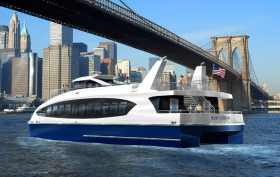 The ferry service will be the most extensive passenger ferry service of its kind in any U.S. city.